The Glamorous Life of a Housewife: The Difference a Year Makes. Here I am thinking I deserve some sort of domestic prize. My....the difference a year makes! What can I say? Pregnancy wears a girl out! It took all I had to whip these out! I'm definitely less motivated in the kitchen these days. Poor husby. But aren't they soooo cute? I deserve some "brownie" points for effort. HA! Get it? ;) If you are wondering how I made these, it's from the fab pan that I gave away last week. Of course, I didn't use the winners pan because that would be rude...I have one of my very own. And I love it with all my heart. Let's see some of your Holiday treats! Mmmm, yummy. Now I'm craving brownies! I think the latter is much more fancy! How funny! I love the gingerbread brownies, so cute! Those brownies look SO good! Atleast you have the excuse of being pregnant and not being in the kitchen. I am NOT pregnant and am still not in the kitchen. The brownies look cute and yummy! We made that gingerbread tree with our boys for advent last year. They liked it so much that this Sunday for our Advent celebration, we are going to make a gingerbread house. Yours were darling, by the way! Those are so cute!! I love those cookies! Pregnancy does change things!Whew! 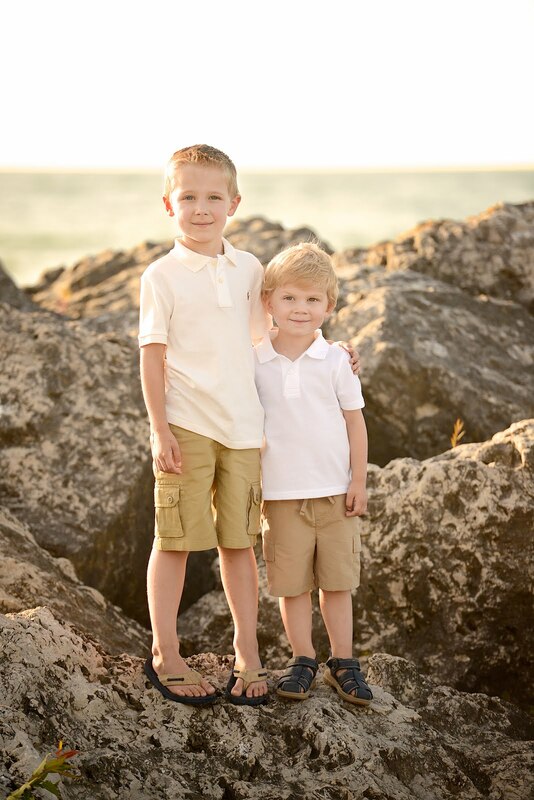 They are adorable...gosh your making me crave brownies!!! those look yummy! i've been wanting to whip out my sugar cookie christmas cookie cutters...maybe this weekend! Your decorations are beautiful, as always! And I think making brownies or cookies is just as applause-worthy as a gingerbread city. So, way to go, momma!! AND, most importantly, you get to lick the batter out of bowl...you can't do that with a gingerbread house. 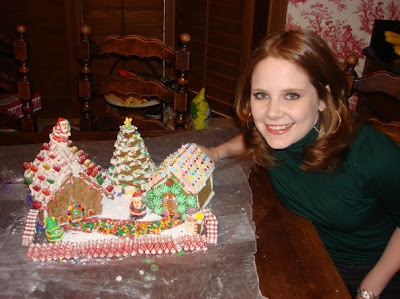 Holy mackerel, woman, that gingerbread village is amazing!!!! that house is impressive :) and those brownies are so cute! and look yummy! 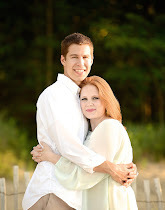 With all the good things you make I think you are going to make a wonderful SAHM. Hell I want to come live with you, that gingerbread house is bigger and better decorated then my real house. Love it! I'll start baking next weekend. I'll post on blog when I do. I usually make little "treat boxes" for the parents of the kids I watch! Neighbors usually are among the "Lucky Recipients" of my goodies too! LOVE the gingerbread spatula. Where did you find that? I made peanut butter fudge on Sunday for my office and left it at home all 3 days...today being Wednesday...yup still home! Okay Miss Glamorous - is there anything you CAN'T do?! 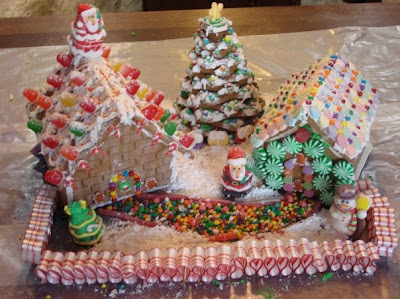 (o: Those are like the best gingerbread houses ever. I tried one once and it was a disaster! Yours look fabulous. You did deserve an award for that gingerbread house. I love it! The ribbon candy fence is an awesome touch! My dad would love it and devour it! I love that pan! Look at your cute little spatula. How fun! You gotta love WS. I sooo wish I would have wont that pan. Those brownies are adorable!!! Wow! I am really impressed with your skills in the kitchen! If I had tried to make gingerbread men brownies, I am sure most of them would be amputees. You inspire me to create yummy goodness, although I always mess it up, somehow. I love the gingy brownies, very cute. Both look great! 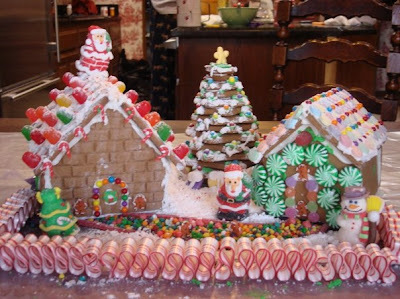 Just think, soon you will be able to make a gingerbread house with a kiddo...lots of fun! Dude. The gingerbread houses rock! You deserve a domestic prize for havin' a baby! Your body is busy! You can't be expected to work, be pregnant and make fancy pants gingerbread houses. You're a mommy to be--and that is pretty awesome. WOW your gingerbread house is incredible! But I think your gingerbread brownies are just as incredible! Well done! I hear ya! Our men are having to pick up the slack these days, aren't they? Betty Crocker, I am not! Wow! Teach me how to become such a domestic goddess like you! I'll even pay you! I so love your little brownie "boys"...they look yummy. I might have to do some bakin tonight! Your gingerbread brownies are quite spectacular! I would prefer those any day over the house. The house ingredients just don't call my name like a festive brownie character. I think your brownies look spectacular! I prefer the brownie any day over the house. That ribbon candy reminds me so much of my grandmother's house. You did a great job! There is so much detail involved with your gingerbread house, you did a great job. But I could really go for one of those brownies. yummy. good for you!!! i don't even have the energy to make cookies. :( you're doing much better than i am. The gingerbread house looks great! But those brownies yummy! Those brownies look YUM. I would eat all of them....! Of course, your going to share recipe, right?!? I just love the houses. Congrats on the baby. Wow. I am in awe of your gingerbread house. I bet those brownies are amaaaazing. They look very yummy ! I am looking forward to finding out if your baby is a boy or a girl! AWWWHHH the anticipation!